1. 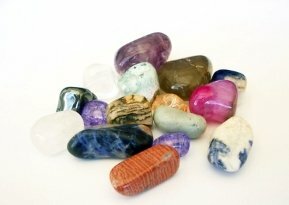 The Virgo sign Birthstones: The virtuous Sardonyx and the cleansing Peridot: The Sardonyx could have a very positive influence on the Virgo soul. It carries with it the potential to help the native search for a meaningful existence, live a life of virtuousness and integrity, strength his willpower for additional self-control, find stable relationships, and attract good friends. The Peridot on the other hand, the Virgo signs co-birthstone, focuses more on the internal processes of the Virgo soul. It can assist the native by promoting the development of perception, assisting with the letting go of old and outworn habits, and encouraging a kinder behavior to and outlook on oneself  an essential ingredient in overcoming the Virgo sign tendency towards self-criticism. 2. The Blue Topaz, Celestite, and Flourite Potential: The Virgo soul urges to serve humanity, sometimes putting his own dreams and needs on hold. Wearing a Blue Topaz can help the Virgo individual find balance between helping others and doing whats right for the self. It can point him towards his own truth so he doesnt continue living out scripts written by someone else for his own journey. And most importantly, can help the native realize that true service comes from the heart without any expectation of future reward or recognition  a realization that can play a significant role in the Virgo souls eventual happiness. releasing a plethora of intuitive ideas! Last but not least, we have the Flourite. The Flourite speaks to the Virgos healer side. A Virgo individual is drawn to the healing professions, wanting to know the nature of true health and needing to understand the connection between emotions and the mind-body dynamic  something that the Flourite could assist them with. 3. Virgos Soul Pathway Stone  Lavender-Violet Smithsonite: The Virgo souls path is that of altruistic, spiritual, and joyful service to others and it is the Smithsonite that can encourage them to follow their inner path. This crystal also has the ability to foster a harmonious working environment and can help bridge the gap between people who are working together for a common cause  an energy that would humbly be welcomed by the Virgo soul.